Great opportunity to own a spacious 2 Bed and 2 bath with an oversized 1 car garage townhouse in Lake Forest Community. First floor has a seperate inside laundry room and storage. Second floor offers beautiful neutral light, vaulted ceilings, living area with sliding doors to screened patio, dining and kitchen with wood laminate flooring. Master bedroom on the third floor with balcony and carpet throughout!! Newer AC and Roof. 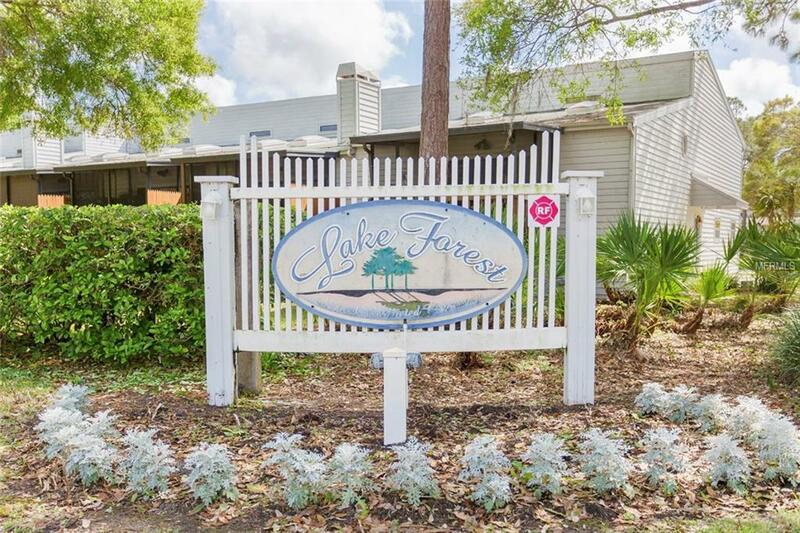 Lake Forest offers a Basketball, Sand Volleyball Courts , Heated Pool & Spa, Community Lake with Walking pier. Great location in the heart of Pinellas County!! Call today to schedule your showing!! Additional Lease Restrictions Must Own 2 Years Prior To Renting.